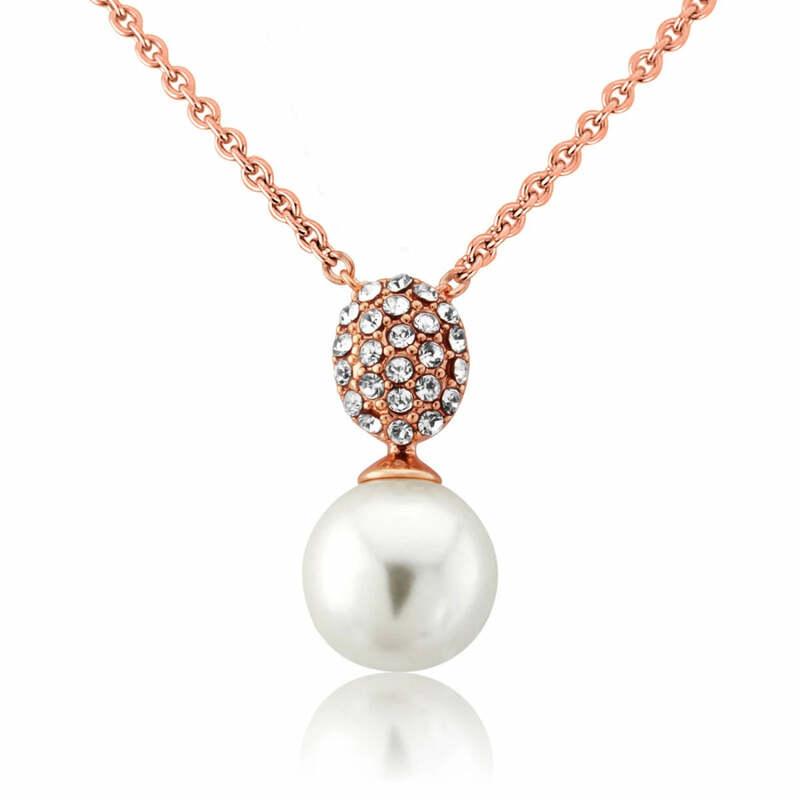 Delicate pearl and crystal pendant which combines classic charm with a contemporary rose gold shimmer. A classic bridal necklace with a hint on on-trend metallics. Breathtakingly beautiful, our Elegance of Rose Gold Pendant captures the romance of the 1950s with understated vintage charm. Featuring a light ivory faux pearl suspended from an Austrian crystal encrusted oval suspended from a fine blushing rose gold chain, this dainty piece will glisten with elegance. From a lunch date to a dressy evening event, Elegance of Rose Gold Pendant is sure to attract an admiring comment or two especially when combined with our coordinating rose gold stud earrings. For the classic bride who favours delicate jewellery but is looking for a touch of contemporary chic, Elegance of Rose Gold is ideal. Wear alone with a V front dress or, for a classic 1950s bridal style, team with a rose gold headband and a fabulous tea length gown.